Two Eds, two Milibands and the first black female candidate: Who Knows Who finds out who is in the frame to become Labour's next leader. As Labour begin life in opposition, the big question for the party is who follows Gordon Brown? The leadership race is now under way with a process set in motion that will culminate on 25 September. Acting leader Harriet Harman, who has ruled herself out of the race, has promised the "biggest election of its type ever", with the ballot open to hundreds of thousands of grassroots activists and union members as well as the Parliamentary Labour Party. So who is in the running? The former foreign secretary (see his Who Knows Who power map) is widely seen as the frontrunner. He is the bookies' favourite at 4/7. Miliband senior, 44, is the thinking man's candidate - he read PPE (philosophy, politics and economics) at Oxford and topped it up with a masters in political science at Massachusetts Institute of Technology as a Kennedy scholar. Nicknamed "Brains" by Alastair Campbell, the young star of the Blair era (the former PM called him "Wayne Rooney") became a mainstay under Brown and one of the youngest foreign secretaries in history. Miliband was connected to the EU foreign affairs job at the end of 2009 but was "persuaded" by political allies to stay in the UK. Former home secretary Alan Johnson, himself a rumoured contender until recently, has thrown his weight behind Miliband senior. Quiz: which Miliband are you? Miliband junior (see his Who Knows Who power map) entered parliament just five years ago in 2005. 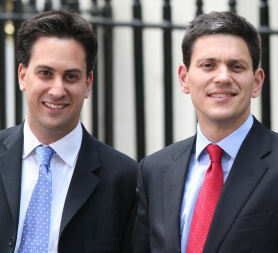 Already a rising Labour star, he quickly stepped out of his brother's shadow. Like his sibling, the former climate change secretary read PPE at Oxford before doing a masters at the London School of Economics. The 40-year-old rose to full Labour prominence during the Copenhagen climate talks last December. Cementing his place at Labour's top table, perhaps getting one up on his brother, he wrote the Labour election manifesto. The ex children's secretary (see Ed Balls' Who Knows Who power map) has long been a close ally of Gordon Brown. He was a member of Brown's "inner circle" including Unite political director Charlie Whelan and "smeargate" spin doctor Damian McBride. Avoiding a "Portillo moment" at the polls, the 43-year-old clung onto the seat of Morley and Outwood. Like the Milibands, Balls read PPE at Oxford before joining the Financial Times as an economics writer. He served as chief economics adviser to Brown and the Treasury. He is married to former work and pensions secretary Yvette Cooper. Having joined the Labour Party at the age of 14, Burnham began his political career (see his Who Knows Who power map) working for Tessa Jowell as a researcher. In the late 1990s he became a special adviser to former Labour minister Chris Smith. He was elected to parliament at the 2001 election and remains MP for Leigh. He has links with David Blunkett who he served as parliamentary private secretary. Blunkett was one of the Labour veterans who spoke out against a potential Lib-Lab coalition. Following in the footsteps of his old boss Chris Smith, Burnham became culture secretary in 2008. He then moved to health for 18 months until Labour's election defeat. Despite his ministerial experience, he is seen as a fresh face, poised somewhere between the crisp academic credentials of the Milibands and the "man of the people" image of Balls. Abbott (see her Who Knows Who power map) is a surprise contender. 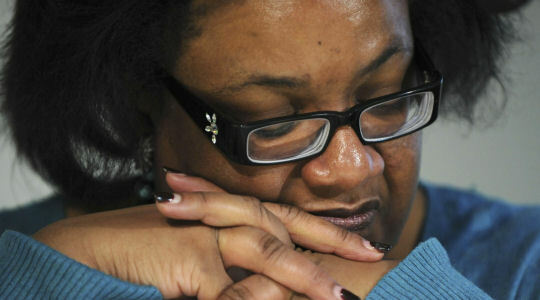 She is the first woman to enter the contest to succeed Gordon Brown. Abbott, who in 1987 was the first black woman elected to the Commons, said she had decided to stand to "open the field" and because many of her supporters had urged her to take part. A former TV researcher, Abbott began her journey into politics working as a press officer for Ken Livingstone in the 1980s. Abbott is now well known for her TV work alongside former Tory minister Michael Portillo on the BBC's This Week programme. The pair are old friends who once starred together in a school production of Macbeth - as Macduff and Lady Macduff. She is a famously outspoken Labour rebel who voted against the Iraq war. Backbencher McDonnell (see his Who Knows Who power map) may find Abbott steals his momentum as champion of Labour's left. But the former union man has publicly welcomed Abbott's decision, urging other women and ethnic minority candidates to come forward. He also has links to Ken Livingstone, having worked for the former London Mayor in the 1980s. McDonnell has launched a bid for the leadership before - unsuccessfully attempting to stand against Gordon Brown in 2007. He is closely allied with Jeremy Corbyn, from Labour's so-called "hard left".